The Roostertail in Detroit is amazing. They offer many services in house, and this includes more than just centerpieces. 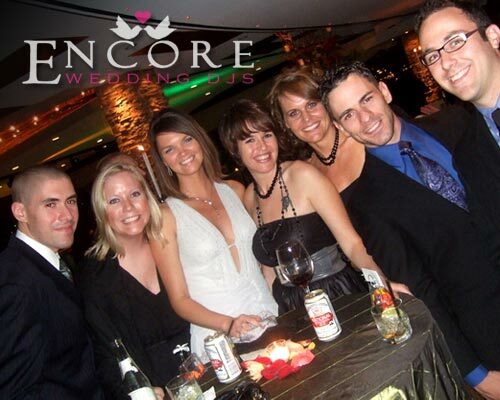 Encore provided the DJing for Dennis and Kathleen’s Detroit wedding reception. Since we were on the top floor at the Roostertail, it gave an excellent view overlooking the water. The reception was more relaxed, and we still played a great variety of music. Thanks again guys for inviting us to your special day.